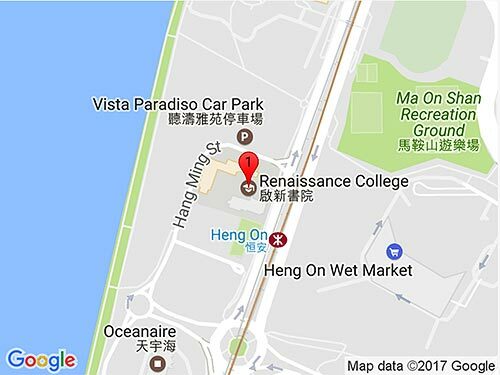 Renaissance College (RCHK) offers the International Baccalaureate MYP programme. RCHK has been a fully authorised MYP school since November 2007. The IB Middle Years Programme (MYP) is designed for students aged 11 to 16 years and sits between the PYP and the IB Diploma creating a continuum of education. The MYP provides a comprehensive curriculum framework of academic challenge that enables students to embrace the connections between traditional subjects and the world in which they live through the process of inquiry. The MYP supports student learning in this critical phase of personal, psychological, social, physical and intellectual development. Success in school is closely related to social and emotional wellbeing and the MYP aims to build self esteem and resilience through exploring life beyond the classroom. The MYP uses a rigorous process of criterion-based assessment across the disciplines to develop academic knowledge and skills. In the MYP, eight key subject areas (above) form the academic framework through both disciplinary and also interdisciplinary learning. The subjects are connected through key concepts that enable students to understand and link the big ideas they are studying. Relevance to the real world is provided by global contexts. The Global Contexts provide the shared starting point for inquiry and international mindedness building on the learning skills from the IB Primary Years Programme. In the final year of the programme, all students engage in the Personal Project. This process enables them to investigate, design, create and reflect upon a personal area of interest and demonstrate the knowledge and skills they have developed through the MYP through one of the global contexts. What are the benefits of a four-programme IB school? Learning through inquiry is central to all three programmes. Skills gained from the PYP exhibition support the MYP Personal Project and which in turn can be developed and used in the IB Diploma Extended Essay. Assessment in all three programmes is criteria based. Action in the PYP leads into Action and Service in the MYP and CAS in the Diploma. These experiences enable MYP learners to become successful independent, globally minded critical thinkers prepared for the demands of the IB Diploma.